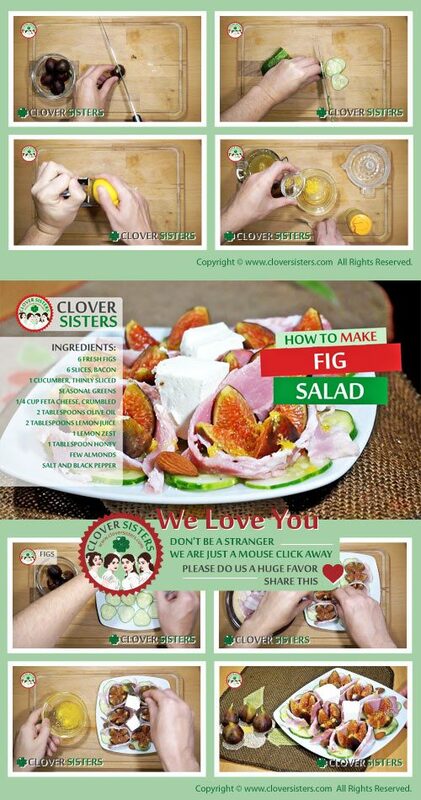 This delicious, fresh fig salad recipe is so simple, sweet and nutritious. 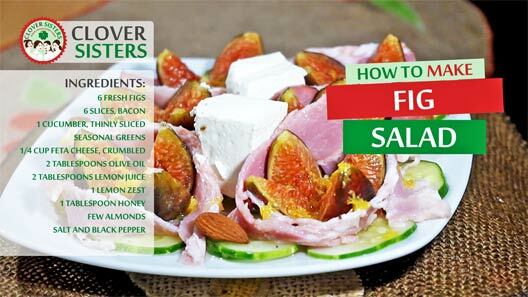 You can make this beautifully sweet and salty fig salad in just a few minutes. Cut the figs in quarters and wrap them with a bacon and put them on the plate. Add the cucumber and seasonal greens on the plate too. Mix the extra virgin olive oil, lemon juice, lemon zest, honey, salt and freshly ground black pepper in a small bowl. Drizzle salad with this mixture and sprinkle with the feta cheese and almonds. Serve at room temperature.